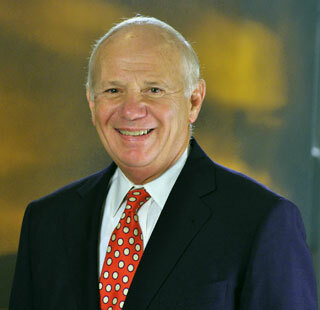 Stephen Seltzer is one of the founding Partners of Seltzer Sussman Heitner LLP. Stephen is both a certified public accountant and an attorney. He is a recognized expert in the fields of trusts and estates, income, estate and fiduciary tax, and real estate and corporate law, and has been called upon to testify as an expert by other law firms and accountants. Stephen’s extensive knowledge of the law, and of accounting practices, along with his personal and practical approach to issues, are the hallmarks of his practice, leading to representation of many of the same clients for decades. In addition to his law practice, Stephen was also a partner in the accounting firm Druckman & Hill and was a founding partner of Loeffler Seltzer & Floch, CPAs. In 1969, he and Martin Sussman combined their talents to create Seltzer & Sussman, the predecessor to our current firm. Stephen is a past President of Temple Beth Sholom in Roslyn, New York; a past President of Fresh Meadow Country Club in Great Neck, New York; and a past Chairman of the New York State Society of CPAs, Estate Tax Committee. He has lectured extensively for the Estate Planning Section of the New York State Society of CPAs and he has written numerous articles for the CPA Journal. Stephen graduated from Lehigh University with a Bachelor of Science degree in accounting. He obtained his law degree and a Masters Degree (LLM) in taxation from New York University School of Law. This web site constitutes “Attorney Advertising.” This web site is designed for general information only. The information presented at this site should not be construed to be formal legal advice nor the formation of a lawyer/client relationship. Any prior results described on this website do not guarantee a similar outcome.